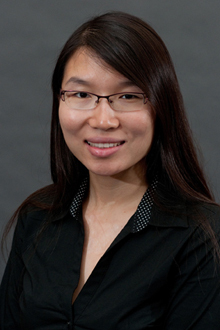 Born and raised in Shanghai, China, Dr. Li received her Bachelor Degree in Advertising from Fudan University and finished her MA and PhD in Communication Studies at the University of Iowa. Her research explores the global spread of consumer capitalism through the perspectives of psychoanalysis, ecocriticism, and critical media theory. Her book Environmental Advertising in China and the USA: The Desire to Go Green (Routledge 2016) uses advertising as a lens to analyze the rising phenomenon of green consumerism and compares how the Chinese and American consumer desire for green products are shaped by ideological, cultural, and historical differences. Dr. Li's previous works use psychoanalysis and poststructural theories to explore the relationship between media, desire, and the environment. She has published in journals such as Media, Culture and Society, Environmental Communication: A Journal of Nature and Culture, the anthology Reading Brokeback Mountain, and for three years she authored the "Looking Abroad" Column for The 21st Century, an English-language weekly in Beijing affiliated with the China Daily News Group. Dr. Li is also working on several other projects. One studies the Chinese tradition of consuming wildlife products such as ivory, rhino horns, and tiger bones and the NGO campaigns intending to stop it. Another examines the psycho-mechanism of eco-jokes in popular culture and explores the potential to increase environmental participation through comedy and humor. Another employs Freud’s notion of the death drive to understand the relations between deadlines and systematized procrastination in modern capitalistic societies. Finally, one studies the digitization of the Chinese language through the computer keyboard and its impacts on literacy and the calligraphic tradition in China. Finally, Dr. Li is the Founding Member of International Environmental Communication Association, and has been elected as Vice Chair and Conference Planner of the Environmental Communication Division at the International Communication Association from 2016 to 2018. Li, X. (2013). A Comparative Analysis of Hybrid Car Advertisements in the USA and China: Desire, Globalization, and Environment. Environmental Communication. Vol: 7, Issue: 4, Page: 512-528. Routledge. Li, X. (2011). Whispering: The Murmur of Power in a Lo-Fi World. Media, Culture & Society. Vol: 33, Issue: 1, Page: 19-34. Sage. Li, X. (2020). China’s Wilderness Excursions: Daoism, Confucianism, and The North Face’s “Go Be Wild” Advertising Campaign: Green Communication and China: On Crisis, Care, and Global Futures. University of Michigan Press. Li, X. (2007). From the "Love of Nature" to Natural Love: Brokeback Mountain, Universal Identification, and Gay Politics": Reading Brokeback Mountain: Essays on the Story and the Film. Page: p.106-117. McFarland & Company. Li, X. (2013). Eco-Jokes and Their Relation to the UnCO2nscious: Larry David’s "Curb Global Warming" Campaign and Other Environmental Comedies: Communication for the Commons: Proceedings for the 2013 Conference on Communication and the Environment (COCE). International Environmental Communication Association.